Save more than your money! We are firm believers in leaving the planet as good as or better than we found it. We don’t want happy clients, we want ecstatic clients. We promise transparent communication through each stage of the journey. Achieve the new look you want for a fraction of the cost versus replacement. Industry leading 3 year warranty. We prefer to let our past clientele tell this story. Our professional spray system and products give long lasting, gorgeous quality to your kitchen cabinets while ensuring an eco-friendly environment for you and your family. 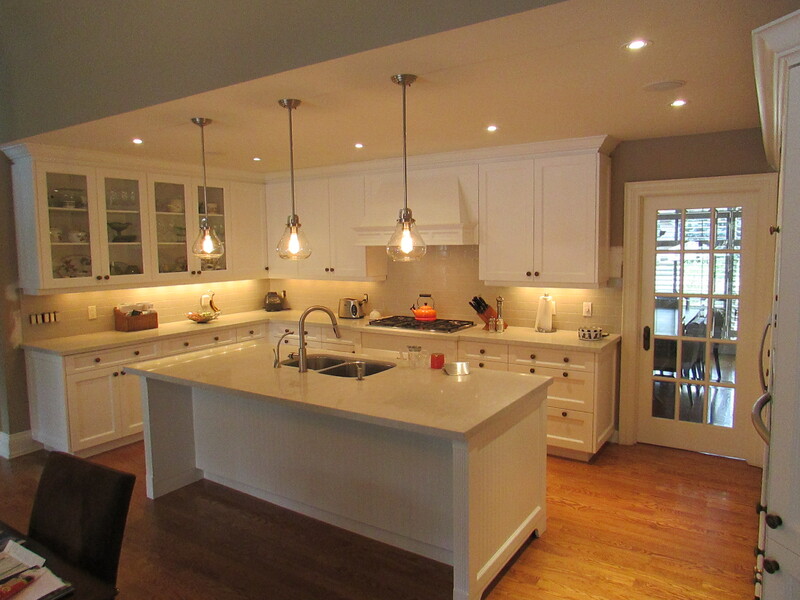 Refinish your kitchen cabinets with us and we will do our ultimate best to give you the kitchen you’ve been waiting for. 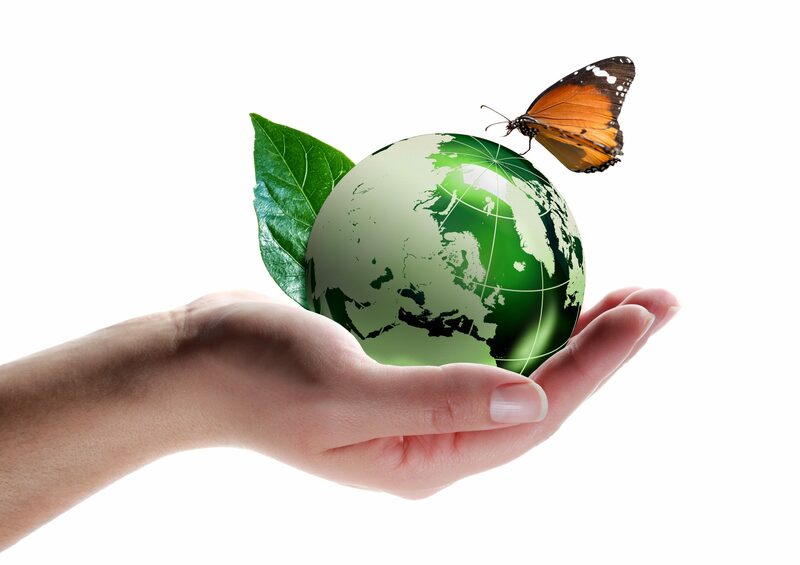 complement our philosophy of environmental stewardship and commitment to Reducing, Reusing and Recycling. By diverting materials from landfill, using no VOC or low VOC products, water-based lacquers and employing methods that do not pollute indoor air quality or the water stream, we breathe easy knowing that you and your loved ones will too. Many products or services that are ‘green’ or have an eco-benefit often come with a premium price tag and have their own ripple effect on the environment. For example, replacing cabinets with a sustainable product such as bamboo is a great story to share with friends and colleagues; provided you leave out the part where you filled a dumpster with your old cabinets. By choosing to refinish instead of replacing you will stand a little taller knowing that your carbon footprint just got a little smaller. 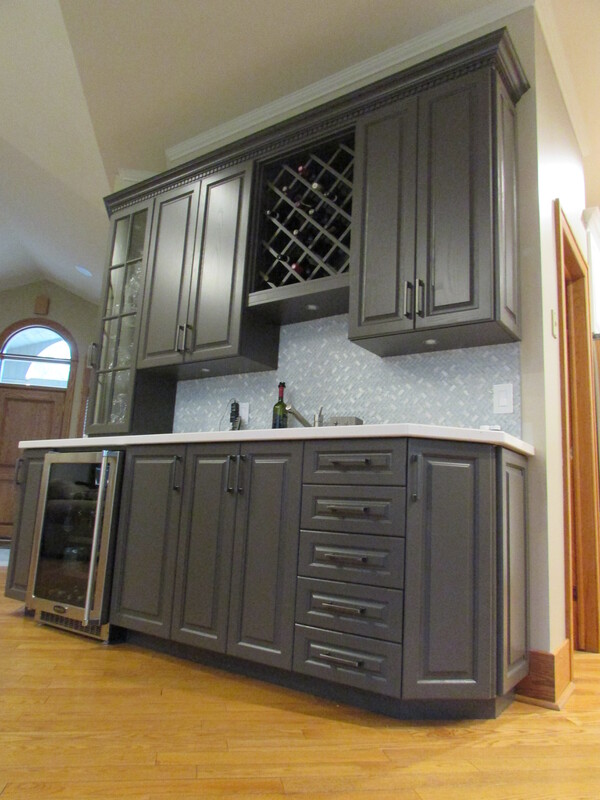 After diligently masking your kitchen to protect against overspray, we transform your cabinet boxes right on-site. Cabinet doors are catalogued, removed and transported to our finishing facility. Once the doors have been thoroughly cleaned, sanded and painted they undergo a 2-3 day curing process to ensure complete adhesion of product for future durability. When the doors are ready, our service team transports them back to your home or office to complete the installation. 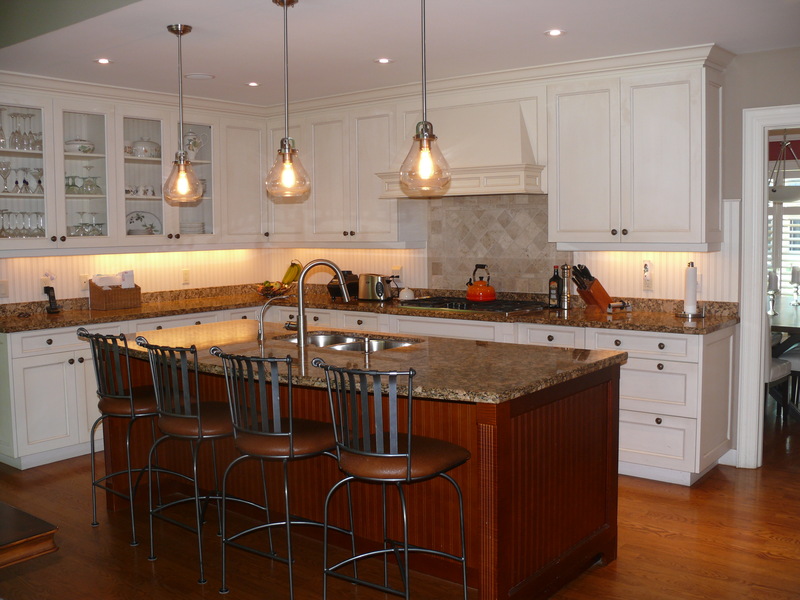 Our clients typically begin enjoying their completed kitchens within 7/8 days of our initial service visit. Note: If you are planning any other renovations in your kitchen, such as replacing your countertops, backsplash or sink, it is recommended that you complete these first. Wall painting and other aesthetic touches should be completed after the cabinets have been refinished. Most companies that deal with redoing cabinetry will either veneer over your existing cabinets, paint them with regular wall paint, or use solvent based lacquers and melamines. With veneer, we have noticed that over time and with heat (say, from a toaster or stove), it will peel. With regular paints, the paint is soft, doesn’t wear or cure well and easily chips. With solvent based lacquers, though durable, painters are allowing harmful chemicals into your home. With EcoRefinishers, we erase all that. Our lacquers are water-based and we have developed, through research and experience, the right level of hardeners to create a lasting durability to our product. We have meticulously worked to provide you with the perfect balance of quality and beauty, bringing to your home what we believe is the best answer to all your cabinet needs.